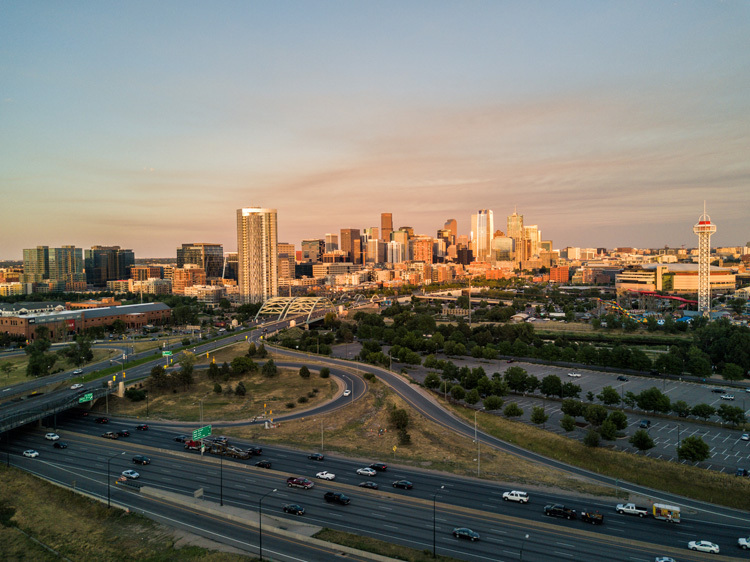 Denver — The Colorado High Performance Transportation Enterprise (HPTE) celebrates its 10th year of progress in accelerating mobility for the state. HPTE was created in 2009 with the passage of Senate Bill 09-108 (otherwise known as FASTER) as a government-owned, independent business within the Colorado Department of Transportation (CDOT). Formed in response to the recession, a growing population and the need for innovative solutions to address traffic congestion, HPTE aggressively seeks out opportunities for creative and efficient means of financing and delivering important transportation infrastructure projects in Colorado, working quickly to deliver solutions that improve mobility and offer Coloradans choice. HPTE pursues delivery options to accelerate construction schedules, increase scope of projects and reduce risk for taxpayers. The early years, between 2011 and 2014, were productive for HPTE. HPTE closed its first Public-Private Partnership (P3) that was also the country’s first multimodal P3 agreement on US 36 with Plenary Roads Denver and worked with CDOT to develop new Express Lanes on I-25 North from US 36 to 120th Avenue. Since then, 69 miles of Express Lanes opened in Colorado, with an additional 143 miles becoming operational by 2022. In 2015, HPTE successfully introduced the Switchable HOV Transponders to allow carpools to use the Express Lanes for free. Nearly 200,000 Switchable HOV Transponders have been distributed to date. The first phase of the US 36 Express Lanes Project opened in 2015, and the eastbound I-70 Mountain Express Lane from Empire to Idaho Springs also opened in 2015. After adding the I-70 Mountain Express Lane, travel times across all lanes, including the non-tolled general-purpose lanes, saw improvements of nearly 40 percent. As a result, travelers spend more time at their destination and at home than in their car. The US 36 Express Lanes Project was completed in 2016, nearly 20 years early because of the P3 model. The result is a truly multi-modal system with options for commuting that include carpooling, bus rapid transit, the option to pay a toll in the Express Lane, a commuter bikeway, and the first Diverging Diamond Interchange in the Denver metro area, which has eliminated fatal accidents at the McCaslin and US 36 interchange. On US 36, drivers have seen peak travel speeds improve up to 20-29 percent, even in the general purpose lanes since the addition of Express Lanes. As a result, commute times have become more consistent and reliable. The Flatiron Flyer, bus rapid transit on US 36, also helps improve travel times. Since opening in 2016, Flatiron Flyer daily ridership increased nearly 29 percent, with 8.5 percent ridership increase in 2017-2018. In 2017, the Express Lanes transitioned from HOV2 to HOV3+, encouraging the movement of more people, but in fewer vehicles. Also that year, HPTE closed on the state’s second P3, the $1.3 billion Central 70 project. Following that successful transaction, 2018 was marked by three project groundbreakings: Central 70, I-25 North from Johnstown to Fort Collins and I-25 South Gap from Monument to Castle Rock. All three of these projects will add Express Lanes next to the general purpose lanes and will make other improvements to aging infrastructure along these corridors. As Colorado’s population continues to grow, HPTE will work on an overall interconnected Express Lanes system plan and work to facilitate transformative programs in the state, including programs that will create smarter roadways with more informed drivers and, eventually, connected and self-driving cars that can communicate with each other and directly with the road itself. At its 10-year anniversary, HPTE is also searching for the next generation of leadership. HPTE Director David Spector is leaving his employment with the state and will be joining KPMG’s market-leading and expanding Infrastructure Advisory and Strategy team as a senior director, consulting with public and private sector clients on infrastructure, transportation, and mobility projects and strategy. For more information, visit www.coloradohpte.com.